Some of my favorite cupcake recipes call for the batter to rest for a period of time before it is portioned into to tins and baked. In the past, I have dutifully followed these instructions in order to, presumably, garner the best result; but I started to wonder what exactly the benefits were and what the results would be if I baked the batter immediately after mixing. 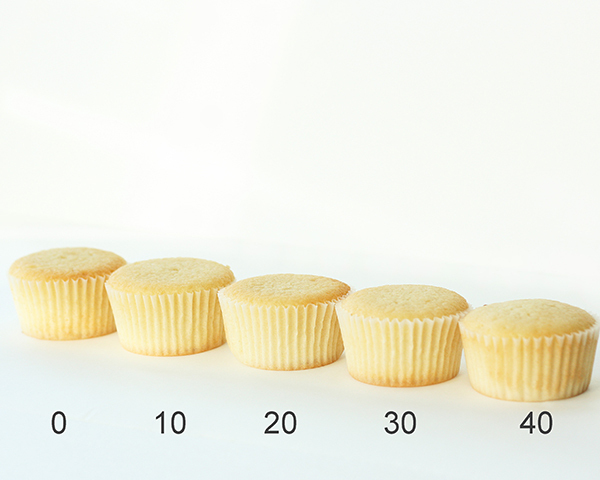 I decided to bake a round of cupcakes with increasing batter rest periods from zero to 40 minutes of rest and examine what the differences were. 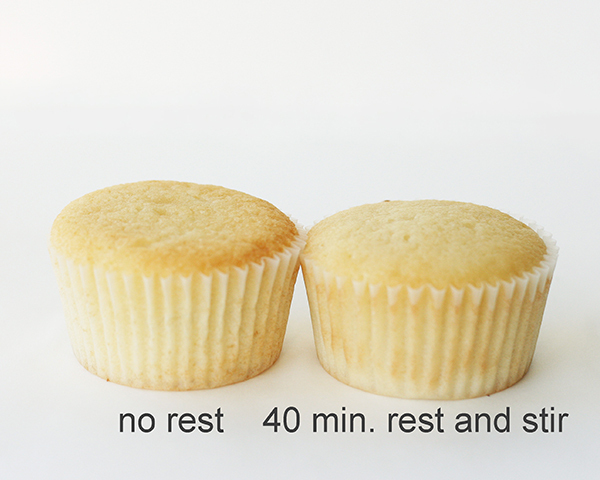 There is minimal difference in external appearance between a cupcake baked from a batter that has rested or not rested. 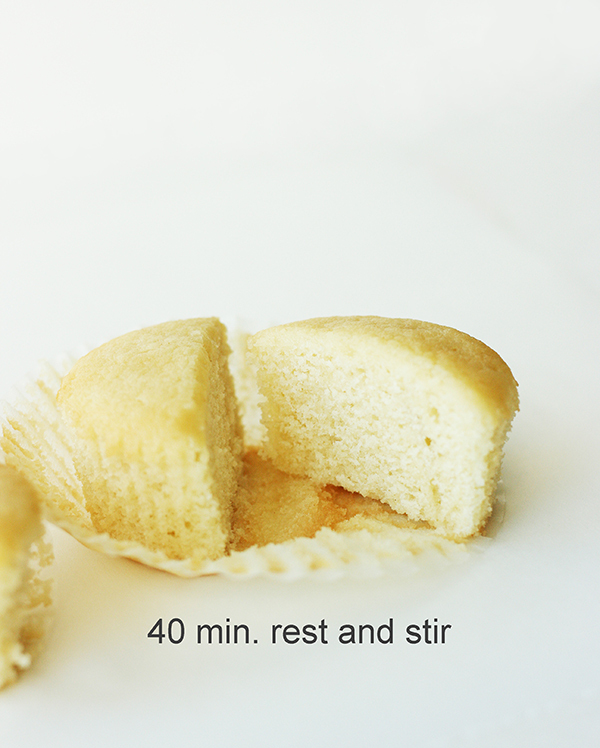 A rested-batter cupcake may have a slightly more rounded top but the difference is miniscule. A cupcake baked from a non-rested batter has a finer, more delicate texture and crumb. If the batter has a lengthy rest period and then is stirred before portioning it will affect the shape and texture of the final cupcake. 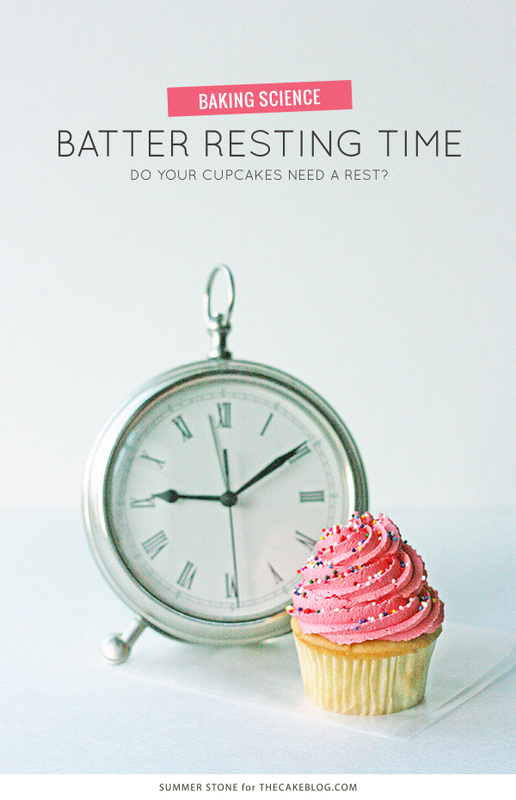 There are several reasons why a batter resting period could affect the outcome of your cupcakes. Once your batter is mixed, the processes which would take place in the oven begin to occur but at a much slower rate. Two actions that are notable include: reaction of leavening agents and absorption of liquid by starches. The type of leavening agent called for in a recipe determines how much of a reaction will occur as the batter rests. Baking soda begins reacting immediately when it comes into contact with acidic ingredients. So, a long resting period could potentially expend much of its leavening capabilities. 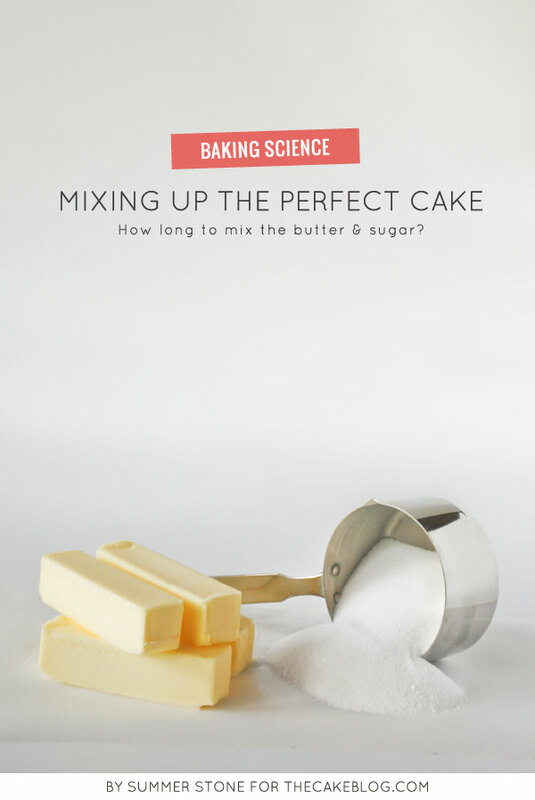 Baking powder on the other hand is often formulated to be double acting, meaning it reacts first when it comes into contact liquids and again in the oven when it reaches a certain temperature. The rest period will then allow the primary reaction to take place but the baking powder will retain its secondary leavening ability when it is baked. Starches are also affected when a batter sits for a period before baking. Starches present in the batter will begin to absorb liquid in a type of pre-gelation of the batter. The result will be batter thickening and essentially an early setting of the cupcake’s structure. Air pocket size also plays a role in delayed batter baking. Batter mixing methods develop fine air pockets that contribute to the leavening and crumb of the cupcake. When baked these air pockets expand to give the cupcake lift. 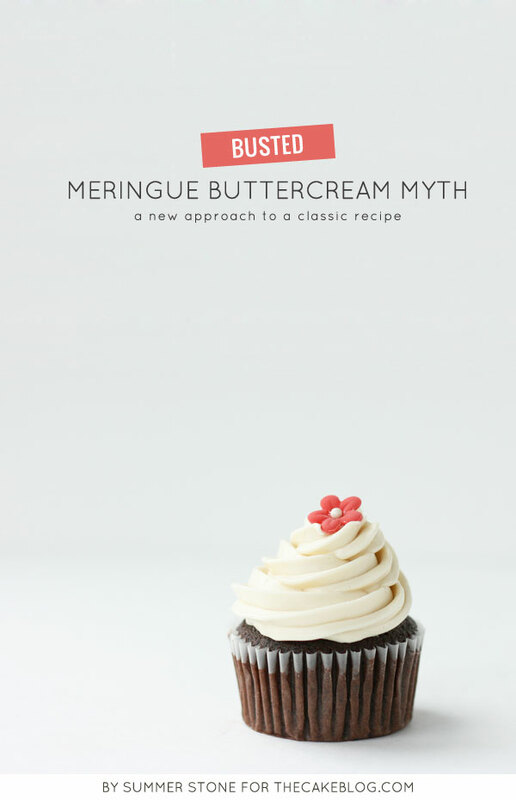 When batter sits for a prolonged period of time the miniscule air pockets converge forming larger air pockets which alter the cupcake’s final texture; the crumb will be coarser and more open than in a cupcake whose batter was baked immediately after mixing. I would say that the most recognizable effect of batter resting that I noticed in the baked cupcakes was that of air pocket fusion. The longer the rest period resulted in cupcakes with a markedly more open crumb and a rougher mouthfeel. Resting leavening reactions seemed to contribute to the melding of air bubbles by expanding existing air pockets, causing greater air cell convergence. In theory, starch liquid absorption could have played a role in improving the overall structure of the cupcake but in this instance I did not find that it made a notable difference. 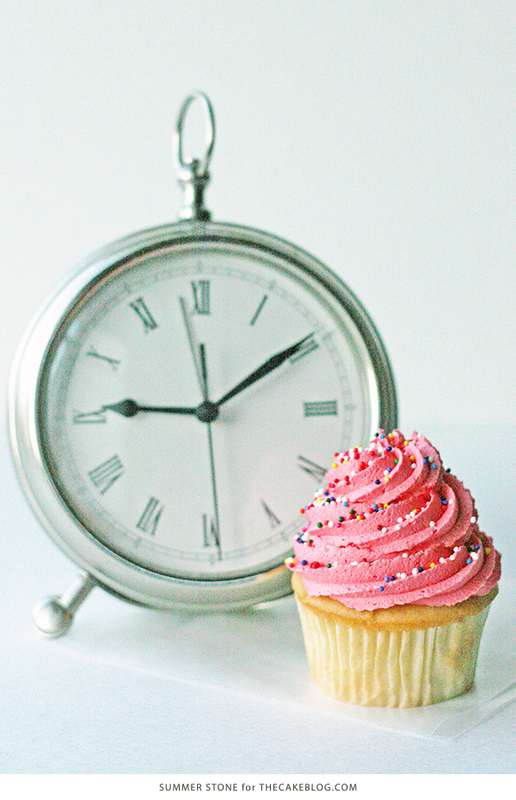 The cupcake that was most altered by the batter wait time was the cupcake with a 40 minute rest period and which the batter was stirred before portioning and baking. This cupcake had a more rounded shape than the other cupcakes but it also gained the least height and was dense and coarsely textured. 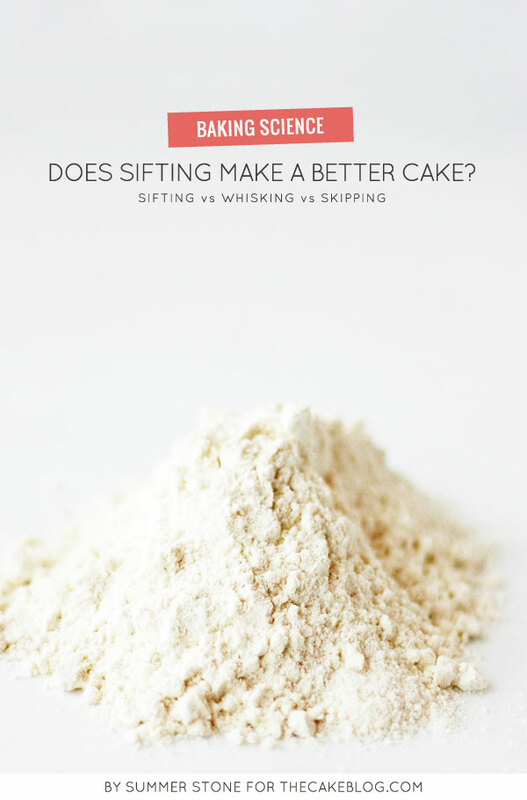 It appears that the stirring destroyed some of the air pockets created in mixing and early leavening, leaving less lift to be achieved in the baking process. Overall, I would say that batter resting periods up to one half hour had minor effects on the resultant cupcakes and all yielded a favorable final product. I personally prefer the cupcakes that were baked immediately because of their finer crumb and mouthfeel. It seems that stirring a batter that has rested should be avoided since it causes loss of incorporated air which leads to dense, coarse cupcakes. So, if your cupcake recipe calls for the batter to rest for a period of time it is not necessary follow that direction, but if you cannot get all of your batter in the oven at one time you will be fine allowing your batter to sit for a moderate length of time until you can free up oven space. 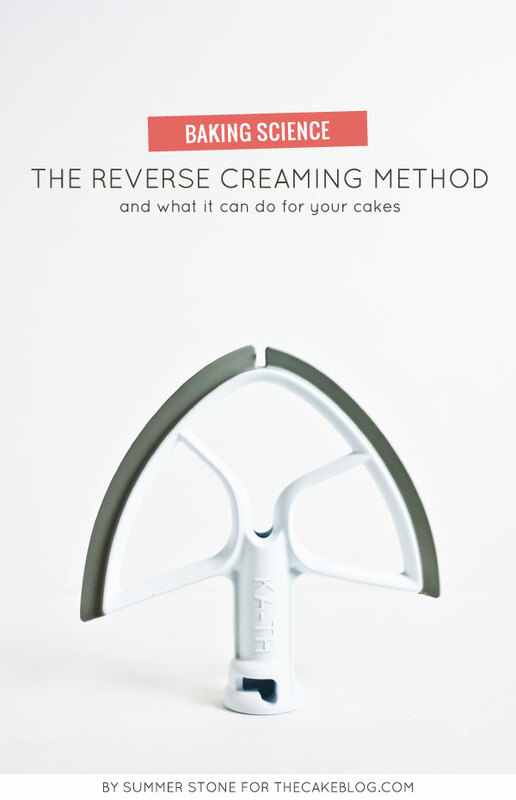 I hope this helps your cupcake baking know-how. 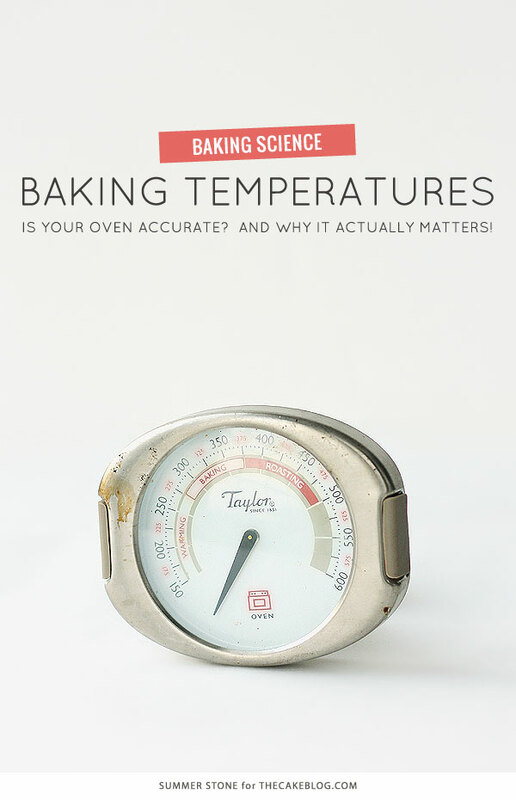 Now read my Baking Temperature Comparison. See why an accurate oven really matters! what recipe did you use for the demonstration above? I’ve never had a cupcake recipe call for a resting time so I’m curious and would love to try this myself. I’ve had plenty of time when I’ve just scooped the batter and let it wait to be baked (we’re only talking 20 minutes maybe); but I’ve always just put whatever extra batter there might have been in a pan or muffin tin and refrigerated it so it wouldn’t have any leavening issues. Please share so we can try it too! Thanks! Summer, will you please share your recipe for these? Pretty please?